Now that we’ve scratched the surface with a comprehensive introduction to better handwriting and creative lettering, the next step is to keep practicing! One way to continue lettering practice is by reading books on calligraphy and artful lettering. Lettering books are like eye-candy! This post contains affiliate links, please read my full disclosure policy for further explanation. There are very few library trips that I don’t return with a few lettering and calligraphy books. Pouring over lots of creative lettering books keeps my skills expanding. 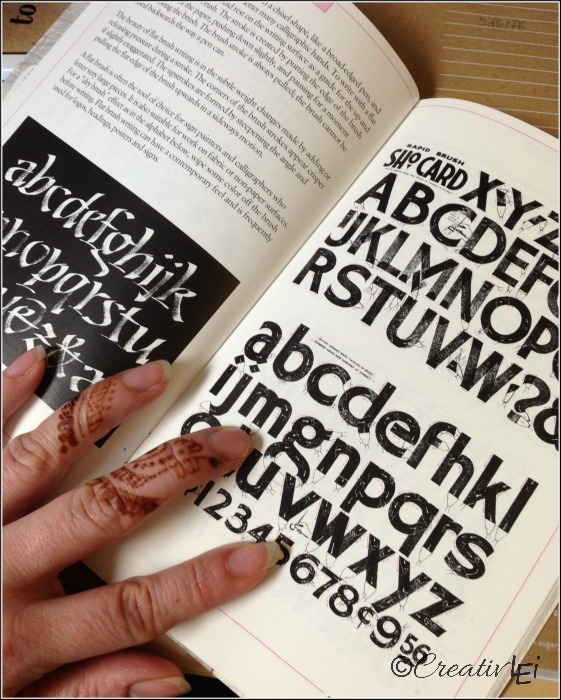 My very first lettering book was the little Speedball Textbook. I still look through this to brush up on basics! It’s been revised numerous times, and the information is always useful. 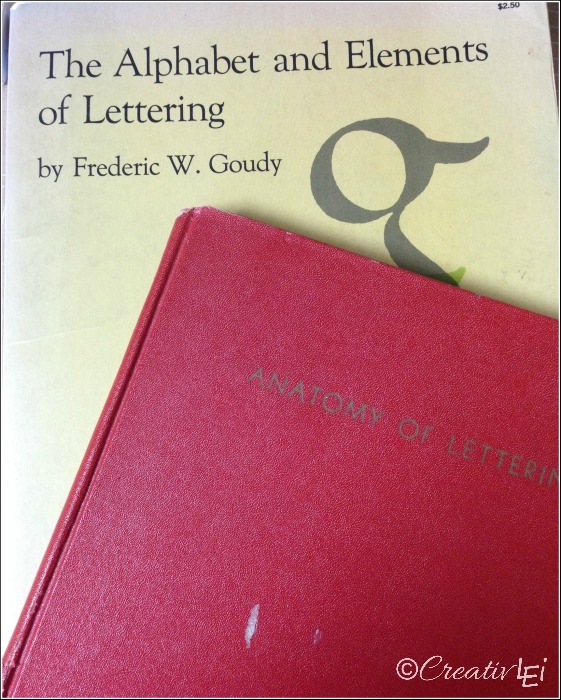 Two reference books that I’ve borrowed from the library that were fascinating looks at the history of writing were, The Alphabet and Elements of Lettering by Frederic W. Goudy and Anatomy of Lettering by Russell Laker. They are out of print, but worth checking your library for if you really want to understand more about the foundations of the alphabet and type. Another was Lettering Tips from Bill Gray. This also appears to be out of print, but may be found at the library. It is well put together and contains some lovely information and art. Here are some books a little easier to find. I’m a lettering geek, so I absolutely love the old reference books. 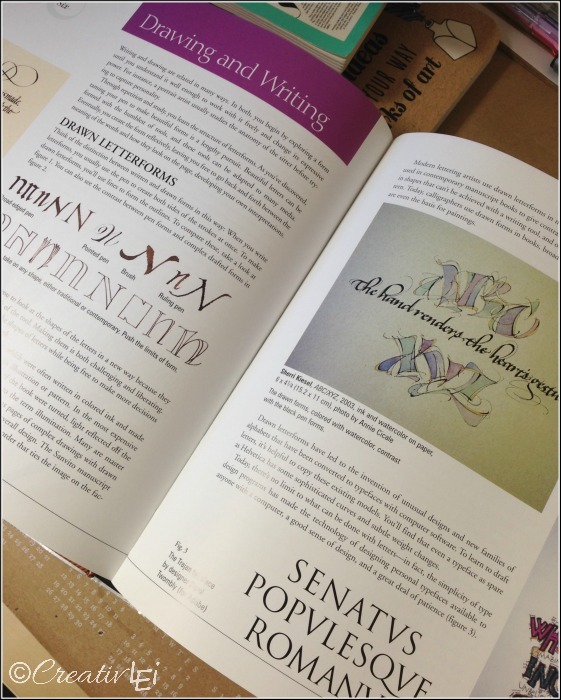 However, there are tons of really great resources that have been published in recent years for calligraphy and creative lettering. 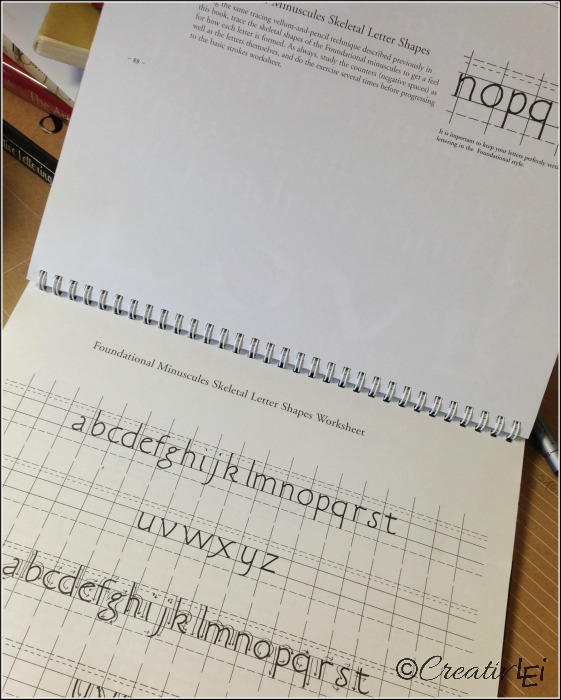 Calligraphy: A Course in Hand Lettering has a spiral binding to lay flat with clear instructional sheets that you can use with tracing paper. 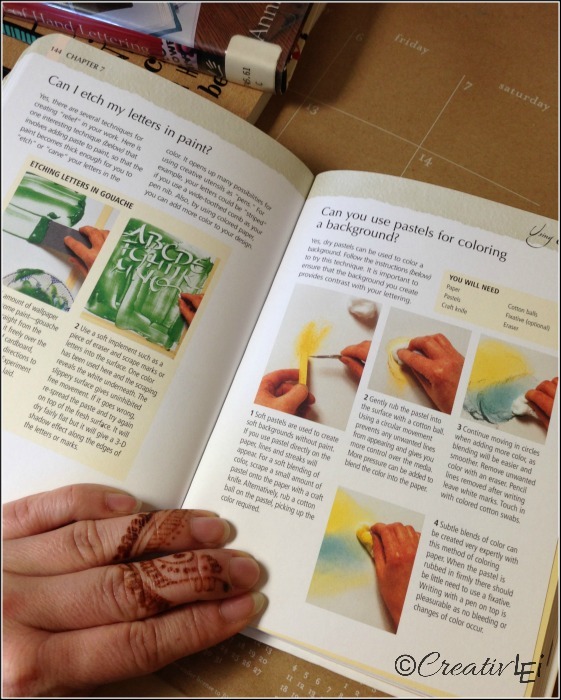 Calligraphy (Expert Answers to the Questions Every Calligrapher Asks) is a small book PACKED with instruction and art. 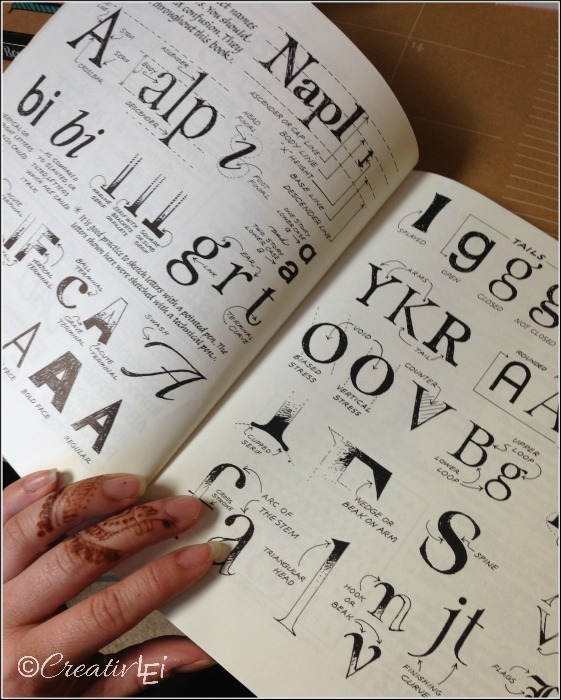 The Art & Craft of Hand Lettering is another absolutely stunning collection of instruction and artwork. I’ve borrowed this book numerous times in the past year… it’s time to add it to my personal library. 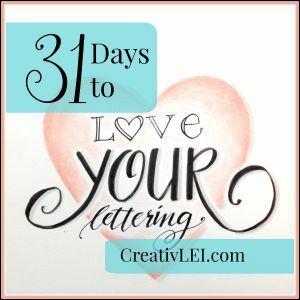 Creative Lettering and Beyond is a less formal lettering book with great ideas for projects using creative lettering, with pages set aside for drafting up ideas! There are even more out there, be sure to flip through to find the books that seem most fitting to your needs. Here are a few of the books I’m most looking forward to borrowing from the library or adding to my own! 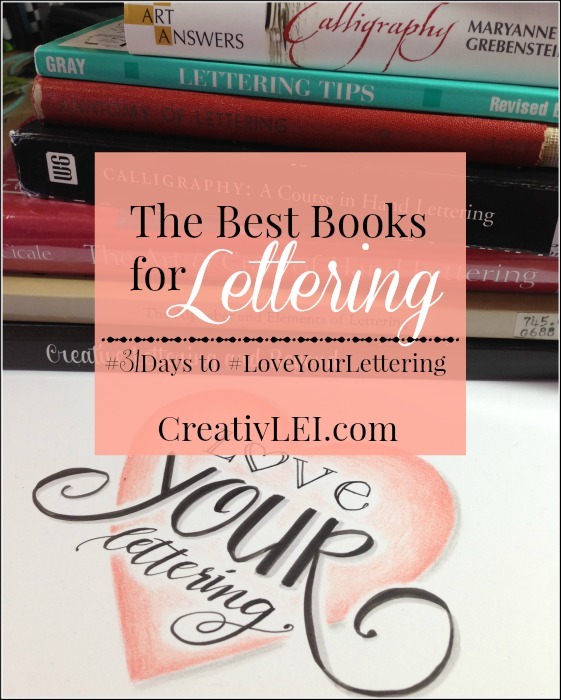 Have you checked your local library for great lettering books? Don’t miss out on updates from the blog or news of upcoming series, subscribe now. For the best advice you can get in a calligraphy book, especially for formal calligraphy, get Sheila Water’s book “Foundations of Calligraphy.” She learned her calligraphy from one of Edward Johnson’s (he revived the art of calligraphy) students and she knows calligraphy inside and out. If you want to get a copy, get it from John Neal Booksellers – http://www.johnnealbooks.com/prod_detail_list/23. DO NOT get it from Amazon – it is priced ridiculously high there! 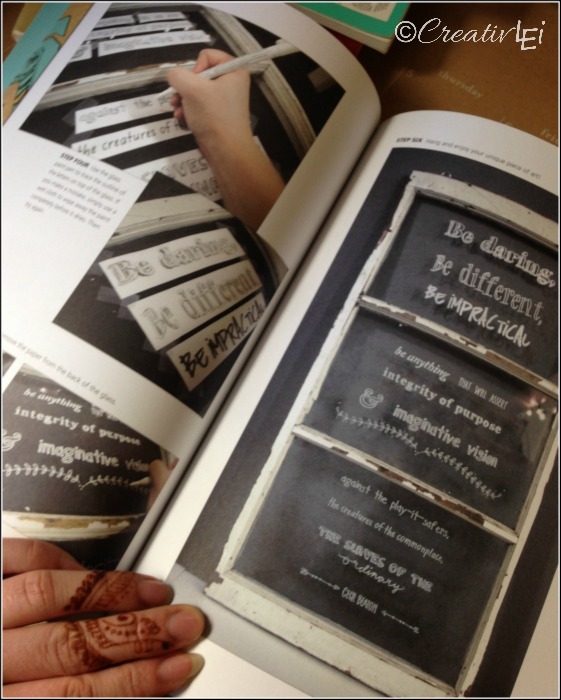 Check out her stuff on Pinterest – she is an amazing calligrapher! Thanks so much, Evelyn! I’ll look forward to looking into her work!